The Illinois Nutrient Research & Education Council (NREC) is Illinois agriculture’s commitment to enhance nutrient utilization, increase crop production and protect water quality. Illinois has funded nutrient research & education since 1989, with a designated fertilizer tonnage fee and a program called the Fertilizer Research & Education Council (FREC) whose monies were held within the Illinois Dept of Agriculture. Since 2004, the FREC fund has been swept and diverted to the State’s General Revenue Fund and used to fund other state programs. State budget cuts to ag research are on-going, leaving little to no resources available to advance nutrient research in Illinois at our state universities, including our land grant university which is responsible for supporting recommendations in the Illinois Agronomy Handbook. The Handbook also serves as the basis for NRCS guidelines on nutrient application. NREC was created in 2012 by Public Act 97-0960 and is managed by a Council of representatives from farm organizations, commercial fertilizer, specialty fertilizer, and the Illinois Department of Agriculture. Members of several environmental organizations also provide input to the Council and help bridge the communication gap between the two segments. The funds collected under this act were previously collected by the Illinois Department of Agriculture but were consistently swept into the general state budget and not available for research programs. Through efforts of the industry, Illinois NREC was formed and has worked to ensure that these funds are available for research. A total of $1.00/ton of fertilizer sold is collected by retailers. 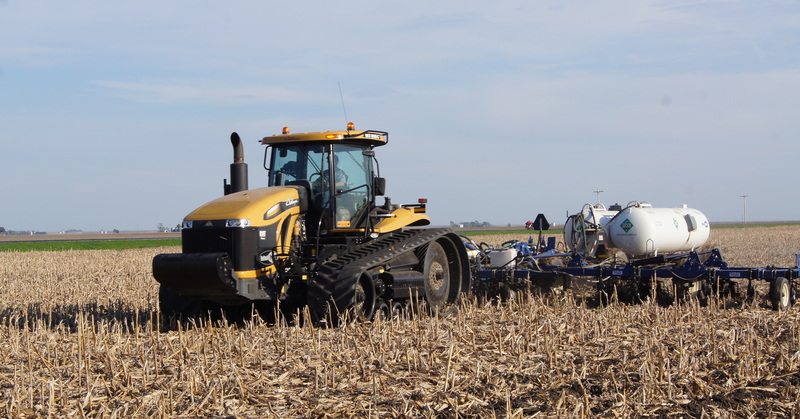 Review and authorization of NH3 site installation Communication of research results to producers, retailers, and other vested parties. Since its inception in 2012, Illinois NREC has invested nearly $9.8 Million into nutrient related research efforts. Through the research that is being funded through NREC, Illinois agriculture is working together to meet the requirement of the Nutrient Loss Reduction Strategy. Without this funding, the industry would be without critical research into maximizing the efficiency of agricultural nutrients while minimizing any possible negative impacts to the environment. You can read the full text of PA 97-0960 here or download the pdf.